Small rectangular ottoman in Truffle fabric from Best Home Furnishings. Ashley chairside table with power outlet and USB ports. Crack in top. 56" Twin Star Enterprise entertainment center with fireplace insert. 64" Twin Star Enterprise entertainment center with speakers and fireplace insert. Klaussner Trisha Yearwood bed set. Extra 650 off if bought as a group! TwinXL Tempurpedic Contour Rhapsody Luxe mattresses. 2 available for $2310 each. Queen Silver Plush Hybrid mattress and box spring set by Sealy. Coaster side chair. 2 available. Coaster arm chair. 2 available. 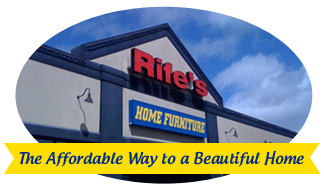 This is an opportunity for you to bring home great discount furniture in Springfield, OR. Our quantities on these items are limited and can sell out at any time so be sure to act fast. New clearance furniture items will be posted on a continual basis as soon as they become available. Check back with us often so you don’t miss out on some of the best deals on clearance furniture in the Eugene, Springfield, Albany, Coos Bay, Corvallis, Roseburg, Oregon area.